Did Jeremiah Predict Israeli Missile Attack In Syria? - Breaking Israel News | Latest News. Biblical Perspective. A missile attack against an Assad regime base on Sunday is being seen as a serious escalation in the regional conflict though one end-of-days expert see it as the Syrian despot taking his prophesied place as the “Nero of the East”. Another prominent rabbi has an inciteful understanding that clearly divides the multinational powder keg forming on Israel’s northern border into two camps based on Biblical parameters. On Sunday, an airstrike of unknown origin hit a Syrian military base near Homs, destroying a joint Syrian-Iranian drone command center. Initially, the Syrian government accused the United States since just a few hours before the strike, US President Donald Trump condemned the Syrian regime. Trump accused the regime of perpetrating a chlorine chemical weapons attack in the rebel-held town of Douma on Saturday night that killed at least 40 Syrians. In a tweet, President Trump referred to the Syrian president as “Animal Assad”, warning there would be a “big price to pay”. After the missile attack against the military base in Syria, the US State Department denied the accusations that the US was behind the attack. On Monday, the Russian Interfax news agency reported that the strike was carried out by two Israeli F-15’s, which fired eight missiles from Lebanese airspace. The Russian Defense Ministry claimed that Syrian defenses shot down five of those missiles. Though the Israeli government did not confirm or deny the claim, Israel has attacked the base twice in the past, destroying an Iranian drone control center. 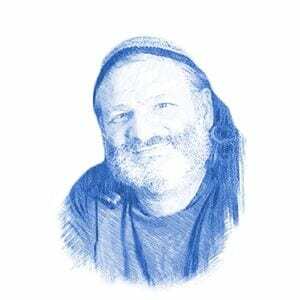 Rabbi Yekutiel Fish, known in Israel as the author of the Torah blog “Sod Ha’Chashmal,” understands the recent attack as having serious end-of-days ramifications. “Jeremiah predicted a fire in the fortresses of Damascus that will presage Messiah,” Rabbi Fish told Breaking Israel News. “Though the Arabs certainly did not intend a reference to the Midrash, Assad is referred to in the Arab world as the ‘Nero of the East,” Rabbi Fish explained. Syria’s civil war has become a powder keg bringing the militaries from many nations into close proximity with one another, creating shifting alliances that sometimes seem incomprehensible. An American-led coalition is faced off against Russian troops sent to prop up Assad’s faltering regime. Rabbi Pinchas Winston, a prolific end-of-days author, believes that the battle-lines are actually quite clear when viewed from a Torah perspective. “In the international mix of armies that are poised to explode in Syria, it is basically objective truth and Torah morality against the subjective truth,” Rabbi Winston told Breaking Israel News.